Thank you for your interest in the 2018 Latin American Film Festival. However at this time, registration for this event has closed. Created in 1997, the goal of the Latin American Film Festival has always been to increase the awareness, appreciation, and understanding of Latin American cinema in Canada's capital. 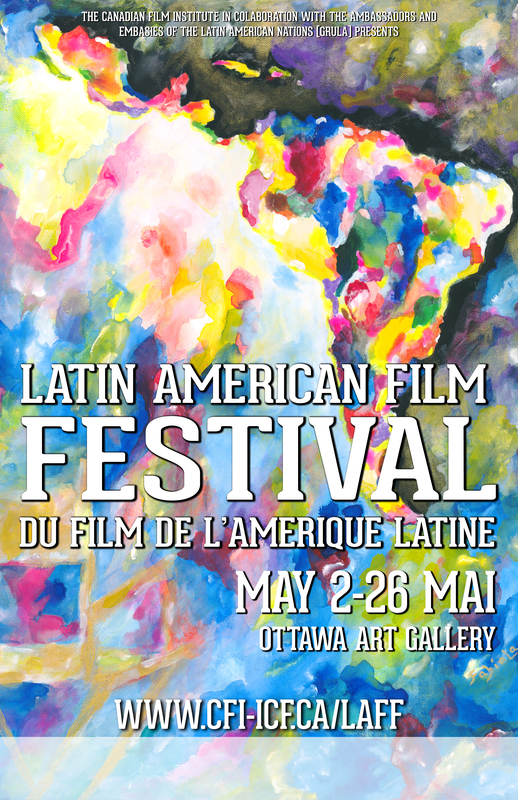 The Latin American Film Festival is now one Ottawa's most eagerly anticipated annual cultural events. This is due to the energy of the Latin American embassies and staff, our festival sponsors, our volunteers, and you, the generous public who come to the screenings to explore the incredible richness, diversity, and artistry of Latin American cinema. The event features only contemporary Ottawa premieres, gleaned from the screens of such festivals as Cannes, Berlin, Toronto, and Chicago to celebrate the rich and diverse cultures of Latin America. Doors open 30 min before showtime. Ticket (digital or printout) must be presented at the door for admission. Memberships/student & senior id MUST BE SHOWN with a discount ticket or festival pass. Please arrive 15min before showtime. If you have any questions, please contact the CFI offices at 613-232-6727 or info@cfi-icf.ca.